He is one of Sydney’s most favoured R&B / Soul DJ’s, playing to club crowds and concert goers in the throngs. 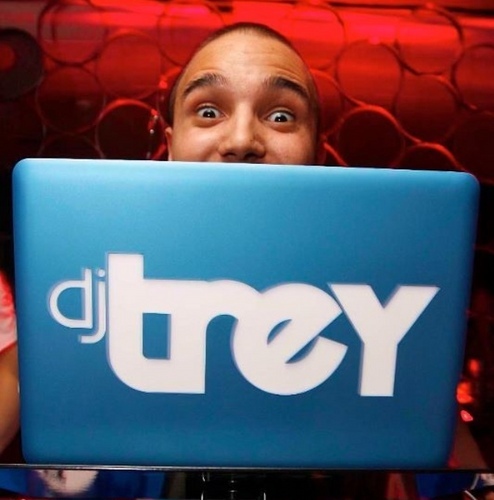 Possessing a knack for blending and mixing together the right tracks at the right intervals is all part of the DJ Trey set – he never misses a beat when it comes to the beat mix and utilises the DJ scratch to its maximum for added effect. You could say Trey knows how to play the crowd like vinyl, spinning them into frenzy until the coin drops. He is a veteran to this DJ game despite his youthful disposition, and attains the musical knowledge and ear equivalent to that of a vintage Mowtown producer – picks the hits but honours the classics. Step into a DJ Trey set and you are instantly transported to a world where funk and soul have a perfect marriage and hip hop is the side dish – only applied when required. His respect and passion for the genre of Neo Soul is paramount with playlists religiously turning out the likes of Dwele, Musiq Soulchild, and Jill Scott and pleases the crowd with today’s chart toppers like Rihanna, Usher and Kevin McCall. He plays something for everyone and caters to every age group. Whether spinning to packed houses at his resident clubs nights at Red Room at the Chambers Hotel and Marble Bar at the Hilton in Sydney or travelling as tour DJ with Delta Bravo Touring, DJ Try never misses a beat and always delivers what the crowds want to hear. His DJ career is moving along in its natural stride with Trey becoming the go-to DJ for the Sydney Fashion Week after-parties and a gamut of other projects and mixtapes in the pipeline. 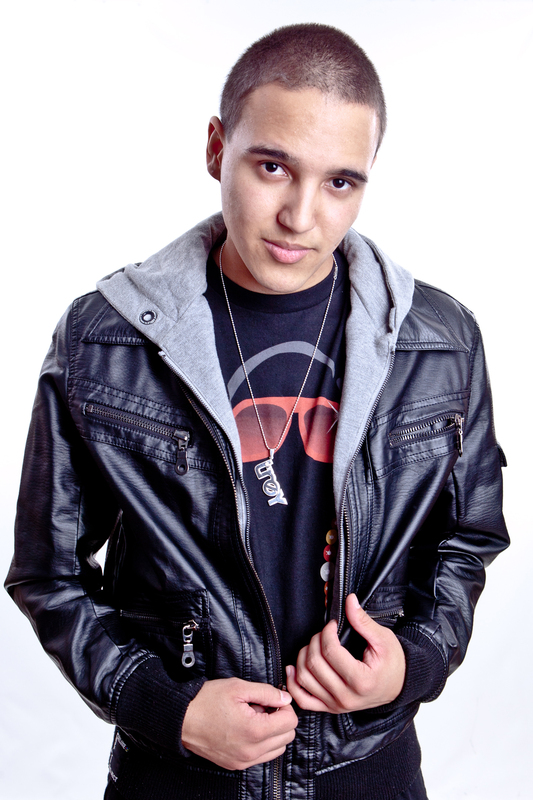 He has come up in the ranks organically and is earning respect with each set he plays. Proudly representing the Phrisk Entertainment family from the club to the airwaves and beyond, DJ Trey is hardworking, innovative and the DJ to watch on the come up! What made you want to become a DJ and how did you get your first break? It was a combination of things that made me want to become a DJ. Firstly my Uncle – he was a Dj – always doing the family parties and weddings. Just the atmosphere that was there – everybody wanted to dance, everybody knew and loved the songs – those were parties. I got my first big break when I was doing an 18th Birthday party for one of my friends. I met this guy called Simon who asked me to play at this Charity event he had coming up. From there I met his sister Corinne – who invited me to come and open up at this club she had called Red Room … and it all started from there. Describe your first gig? When did you realise that this was something you wanted to pursue as a career? My first big gig for me was definitely one of the first times I played at Red Room. It was a 3-Hour set (back then) and I was still fairly new in nightclubs. I didn’t know how the clubs worked; I didn’t know what was hot or what was not. From what people have told me – it wasn’t one of the best sets they’ve ever heard. In saying that though, something must’ve worked out all right … 8 years later and I’m still at Red Room. For me it’s been a long time to realise that this is something I wanted to pursue. I’ve worked in retail, in banks, in call centres – and nothing seemed like a good enough reason to wake up everyday. Once I put it together that this is what I love doing – and I can make a living off doing it – then it clicked. I’ve been Djing since I was 14 – now at 26; I think I’ve made a good choice. You have built up a reputable following as one of Sydney’s hottest R&B / Soul dj’s and have been booked as tour DJ for a string of international touring artists like Musiq Soulchild and the Made in the 90’s super tours to name a few. How would you best describe the zone you get into as a tour DJ compared to djing in a club? The mental aspect? Tours and clubs are totally different. In a club – people have come to have a good time with their friends, or celebrate a birthday, or have a few drinks– just a good night. Your job there is to entertain – so you are essentially a necessity. At a concert – people have come for one thing and that is to see the artist. Being a Dj at a tour basically means that you’re just another delay before these people can get what they came for. That’s a tough crowd to deal with – and they’re all looking at you – waiting to see what you do. The trick to that is entertaining them, proving that you deserve to be there, all while sticking to the musical theme of the concert. It’s hard on the mentality – but I’ve just been fortunate enough to be booked for concerts where I know the artists, I know their style of music and I know the crowds that are coming to those shows because I would be one of them. How do you stay consistent and a strong favourite by your fans in this industry? I always have to remember to be myself. Dj’s always talk about – not takings requests and doing this and that – in the name of art. Being a DJ is all of that – BUT – at the end of the day in some cases – it is a job. You’re booked to entertain people – not yourself. I stay consistent by knowing how to separate these worlds. Separate the Jobs from the Gigs. There are people that enjoy what I do when it comes to soul and old school and on the other hand, there are people that enjoy what I do in commercial clubs. Knowing the difference between the two is the best way to appeal to your audience. Who would you say your musical influences / inspirations are and why? My inspirations are 9th Wonder, Pete Rock, Dj Jazzy Jeff, ?uest Love .. These are people that have crafted their own style of Djing and have gone on and used those skills and techniques in other aspects of music. Like Production and even teaching (9th Wonder). As a Dj – longevity is an issue so to be able to use all that you know in other ways is an asset – that’s why I look up to these people. What are the pros / cons to being a DJ, if any? Pros – The fact that I get to wake up and do what I love. The fact that I have a job where I don’t need to think I just need to do – because it’s a lifestyle – not a monotonous job. Cons – The late, late, nights. And my girlfriend complaining about them. The record that guarantee’s people on the dance floor and why? There is no guaranteed song – ever. All people are different and are always in different moods. Things work – things don’t – you have to be able to read the situation. What are your thoughts on the technology that DJ’s face now with all the different mixers / Serato / USB options available? I love the technology. I personally love vinyl – and I always will … but some of this new technology and these new mixers and cd players are just – AMAZING. They make everything so much easier and just introduce new aspects and features to the Djing experience. As a dj – all you need is your music, some decks and some headphones – if you can do good with less – why not. You hold residency at two of Sydney’s hottest nightspots – Red Room at The Chambers Hotel and Marble Bar djing with Brown Sugar – what do you love about djing at venues that have such a respected name in the industry and knowing you are responsible for keeping that successful legacy going with each set you play? The things I love about both of these venues – is the history. Red Room has been going for 9 years this year and I’m blessed to be a part of its history since nearly the beginning. As for Marble Bar – that’s been open for 120 years! You can’t compete with that. To say I grace a stage each week, which has been entertaining people week in and week out – for that long – now that’s something. The good thing about both of these places is that they have loyal patrons who come week in and week out. It’s really allowed me to tailor my sets and be able to bring something new to the table every week. What are you currently working on? Your future projects? Currently I’m working on a range of mix tapes. Doing what I love – Soul Music and Old School. I just want everyone to love the same music that I do. There’s a lot out there that people don’t know about or unable to find – These mixes will hopefully bridge that gap a little. I’m also working on moving into some music production – so hopefully by the end of the year I’ll have some stuff to put out. Pingback: Partnering With the DJ During a Wedding Events.